“Out with the old” has been the theme of the work that has taken place on the Ministry Epxansion plan most recently. 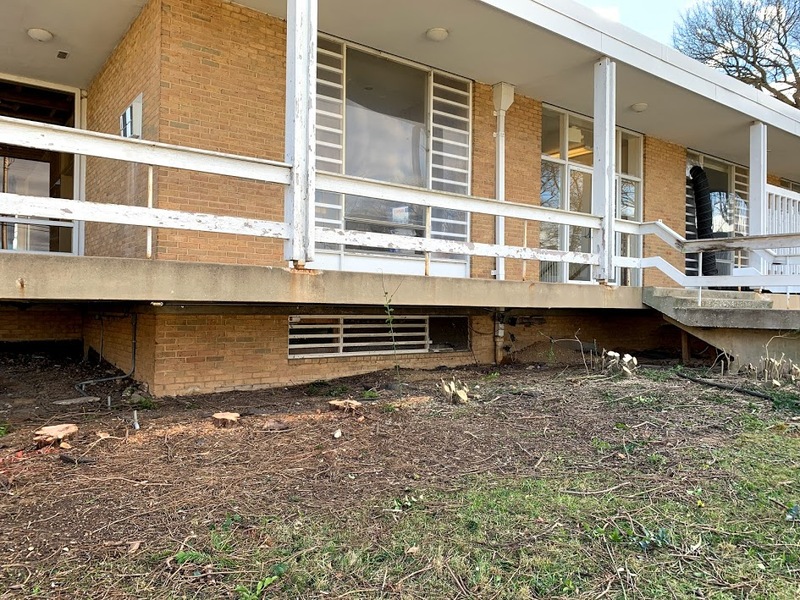 The airhandler, boiler, and air conditioner units are now all gone; as are many of the shrubs and bushes and a few trees around the premises. We are sad to see some of these things go, but it is all for a good cause. “In with the new” has also been happening. 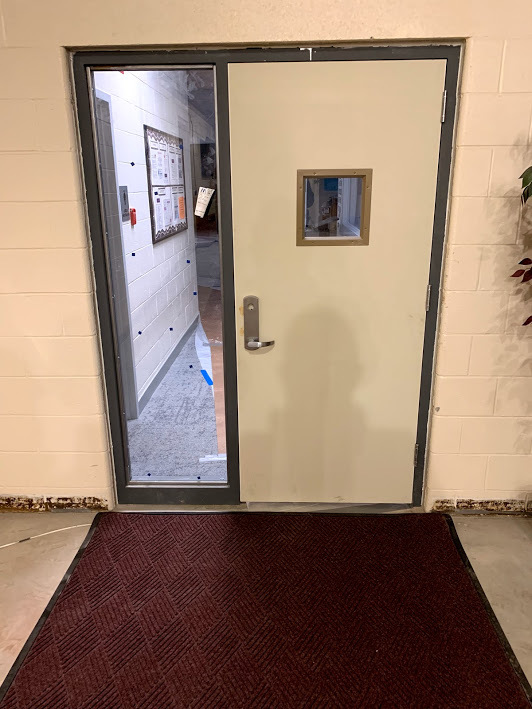 There is now a new doorway between the downstairs hallway ramp and the area under the sanctuary that houses our preschool. 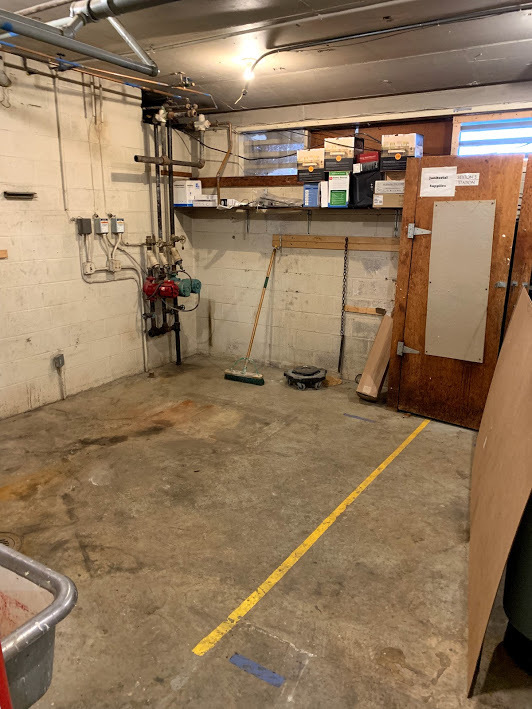 This door will be lockable so that we can fully secure the preschool during school hours without having to lock the main doors off the parking lot. The lock will be added to this door soon. 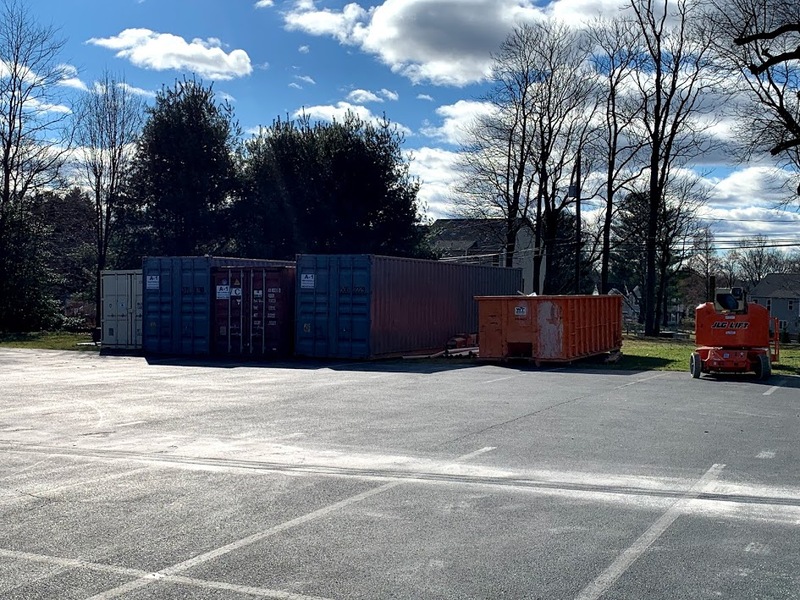 A new asphalt pathway has been installed that will lead to the new temporary doorway which is under construction as this update is being prepared. 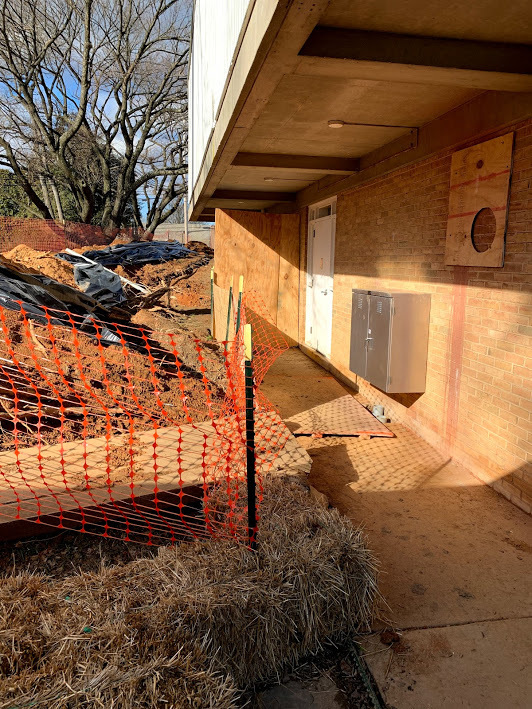 Soon that doorway will be the main access from the parking lot as the current doors will be blocked off in preparation for the construction of the new staircase and entryway. 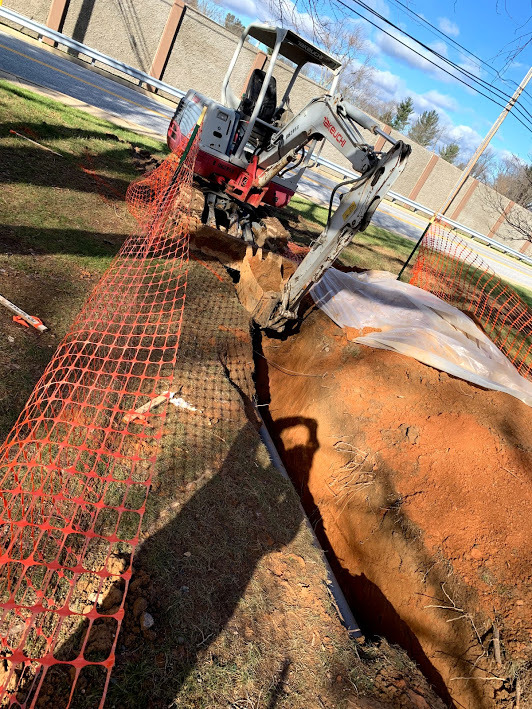 A long trench was dug on the south end of the building to bury the wires for our new electrical and internet services. That trench is already being backfilled. 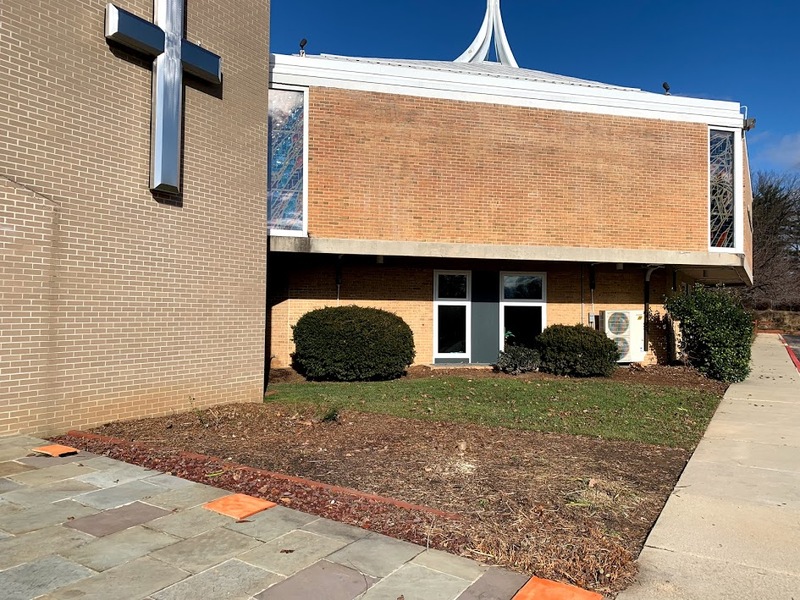 The window that was removed on the parking lot side of the church (on the south end) will be infilled soon as this will be part of the new electrical room. 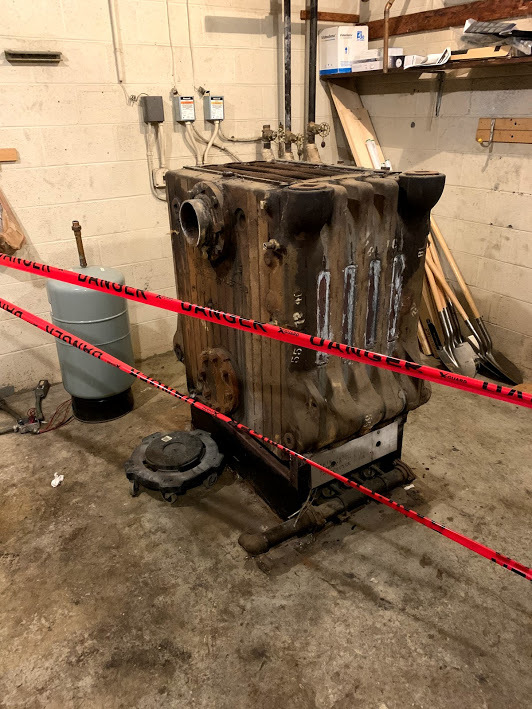 The window was removed in order to get large pieces of electrical equipment into that room. 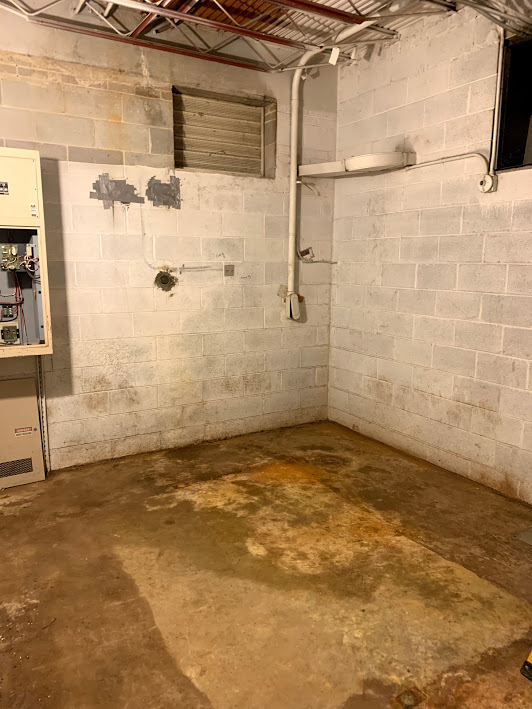 We have finally received the permit that was needed to resume work in the sanctuary and so that work will begin soon—starting with the skim coat that will be applied to the ceiling. 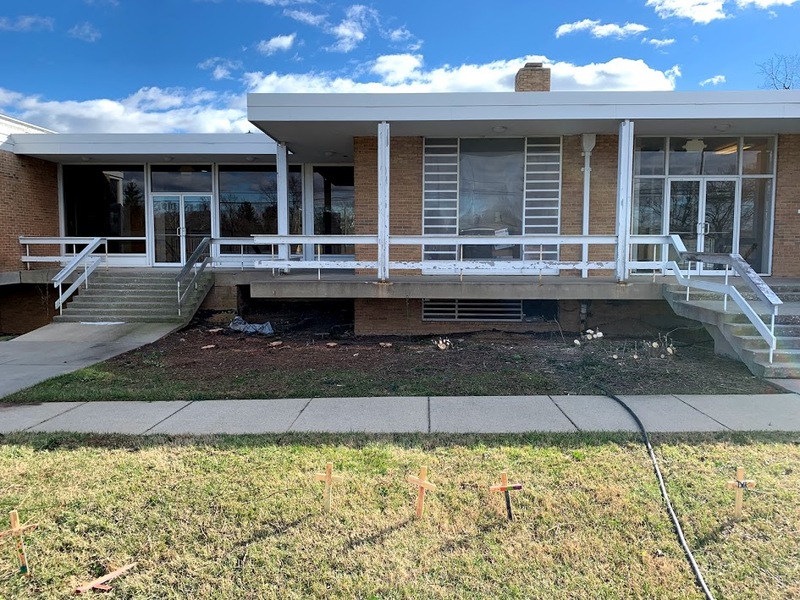 Progress is being made each day now so check back her weekly for more updates.